Wednesday my little boy will be nine months and is no longer a helpless, tiny baby. This past weekend he hit several milestones and seemed so independent and grown up. Saturday morning, he was standing up in his crib waiting for me to get him. So adorable. Later that day, I felt his first tooth poking through his bottom gum :O. And then, in the afternoon he had a little accident on the front step and ended up with a little scrape on his eyebrow and cheek. His first owie. I’m a little sad it went so fast, but I’m loving how interactive he is. It’s fun watching him learn new things every day. 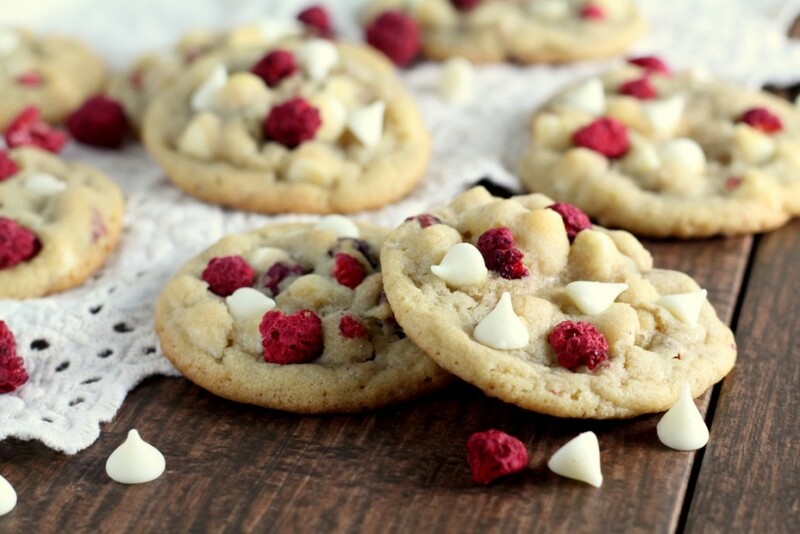 These White Chocolate Raspberry Cookies are a twist on traditional chocolate chip cookies. 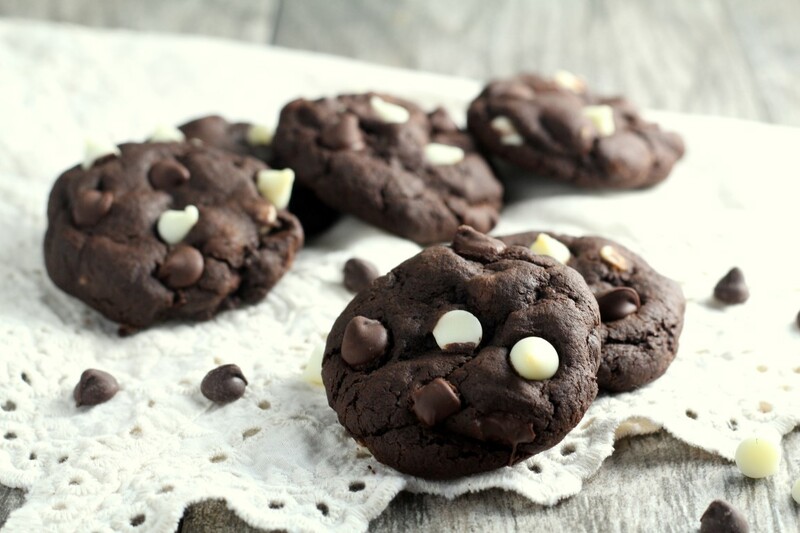 I love soft cookies, so I add a little cornstarch to my cookie dough to keep them soft. It’s my not-so-secret ingredient. The cornstarch also serves to keep them from spreading too much. 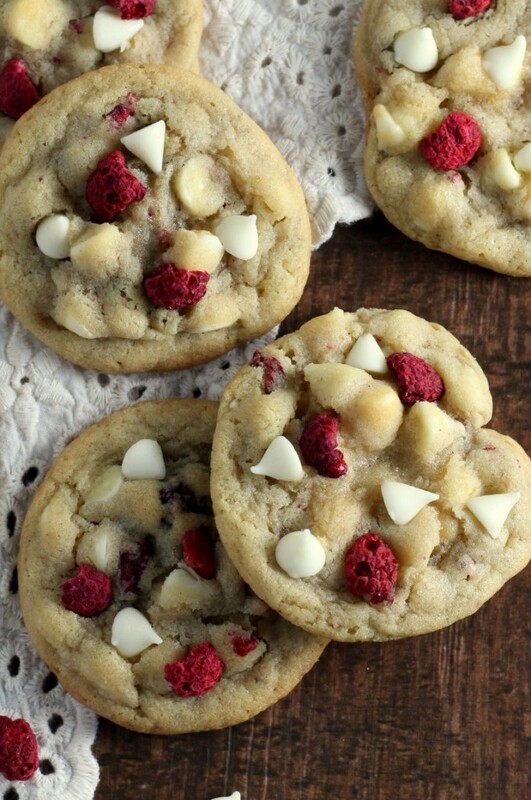 I used freeze dried raspberries from Trader Joe’s. 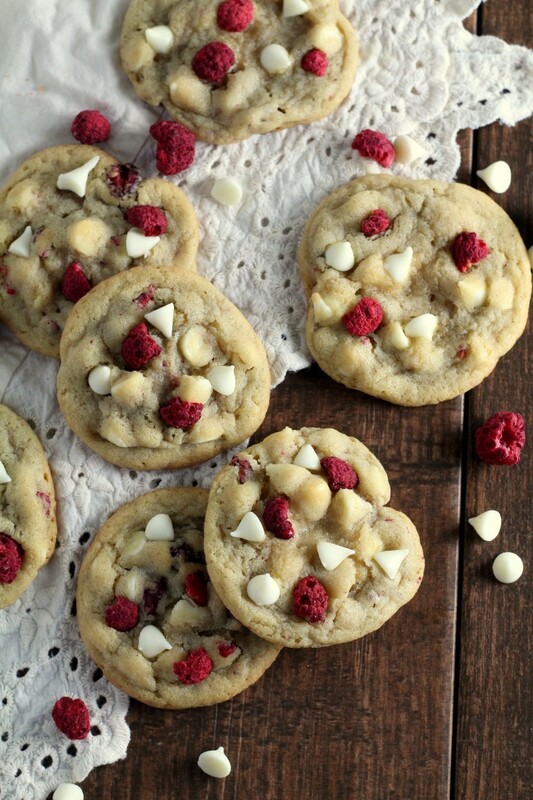 I wouldn’t make these cookies too far in advance or the dried raspberries will go stale. 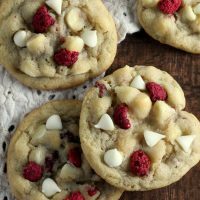 Also, too make the cookies prettier, I pressed in some more white chocolate chips and raspberries right after they came out of the oven. To make the cookies a bit prettier, you may press in a few additional chocolate chips and dried raspberries and blueberries. 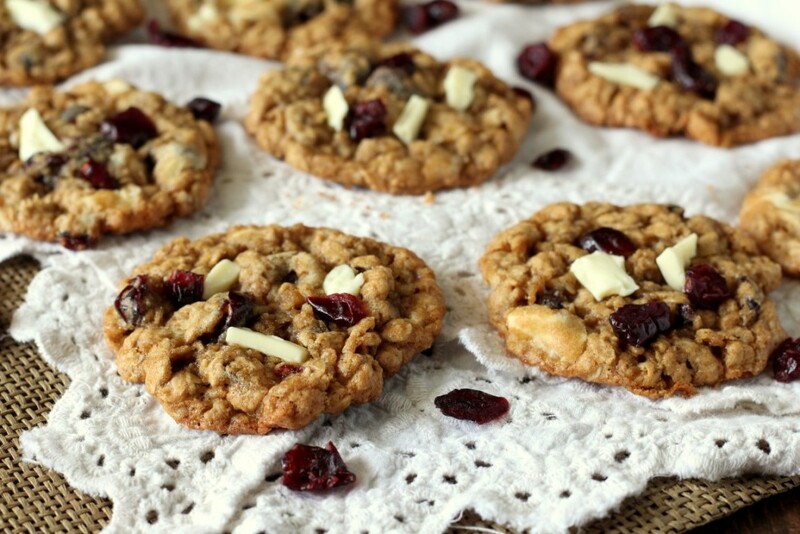 Press them gently into cookies that came straight out of the oven. Allow to cool on the cookie sheet for a minute before removing to a wire rack to cool completely. Wondering if these can be made ahead of time and frozen until the day of? This is the driest dough I’ve ever worked with. It’s the consistency of sand. Thanks for a waste of ingredients. Hi Angela, How did you measure your flour? All my recipe use spooned and leveled flour. Did you scoop it out with a measuring cup? Me too. I managed to salvage it with more than a half a cup of milk and a lot of struggling with a wooden spoon. I will not use this recipe again.